The artifacts contained within this page are part of an ongoing effort to digitally preserve and make publicly available historical content from Archdiocesan archives relating to the Cathedral of St. Joseph. Documents hosted by Scribd can be expanded by clicking the four-arrows icon in the bottom-right of each document window. 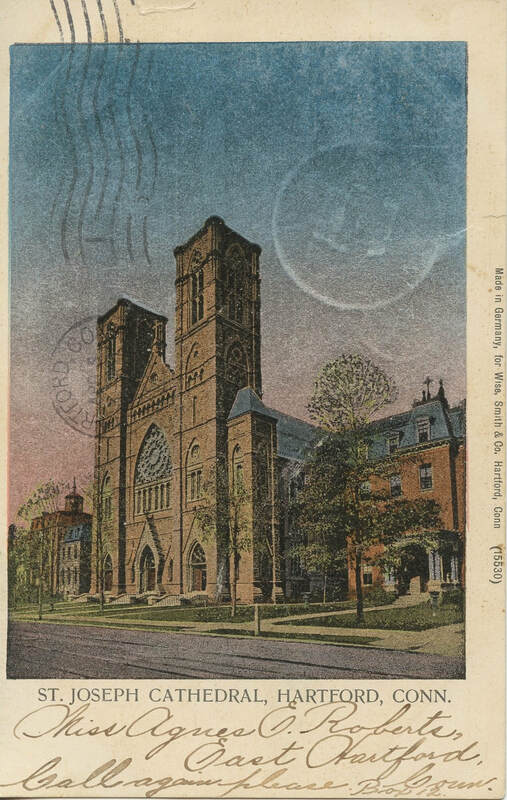 Front page and related coverage of the original Cathedral's destruction from the January 1, 1957 issue. Front page and related coverage of the original Cathedral's destruction from the January 2, 1957 issue. 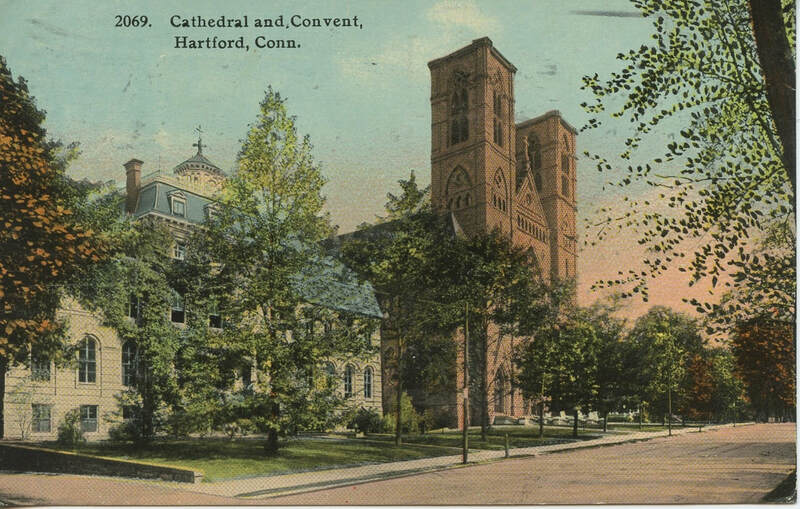 The original program distributed at the Cathedral's consecration ceremony, on May 15, 1962. 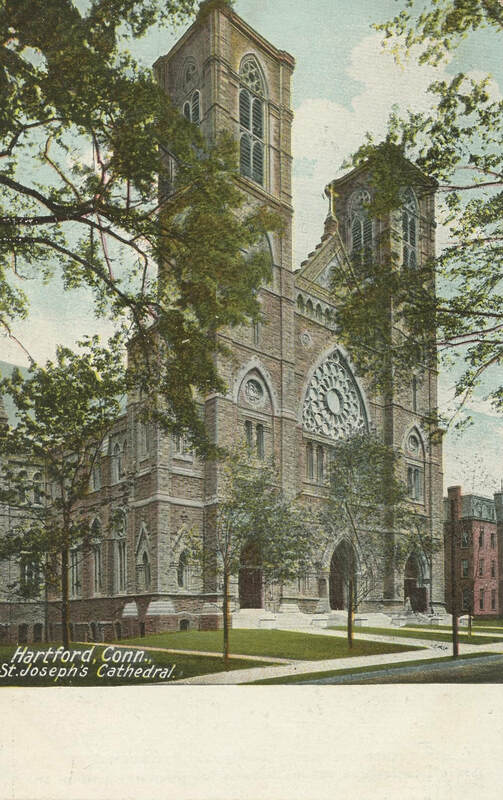 This program was distributed upon the Cathedral's opening in 1962, and contains an immense amount of information about all things Cathedral. This is considered to be the most definitive and thorough resource on the Cathedral ever printed. 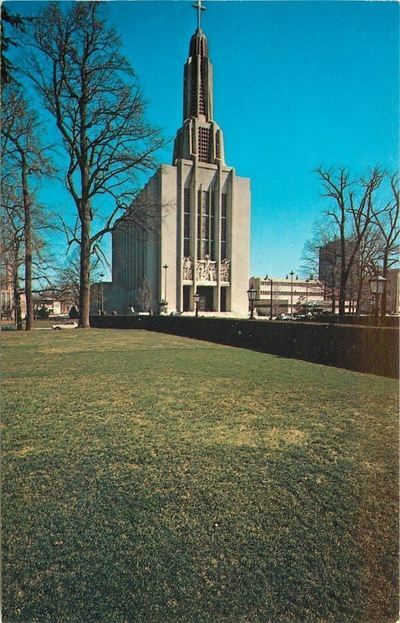 The original informational kit provided to the media upon the Cathedral's opening in 1962. An early brochure detailing the appointments to the lower church. 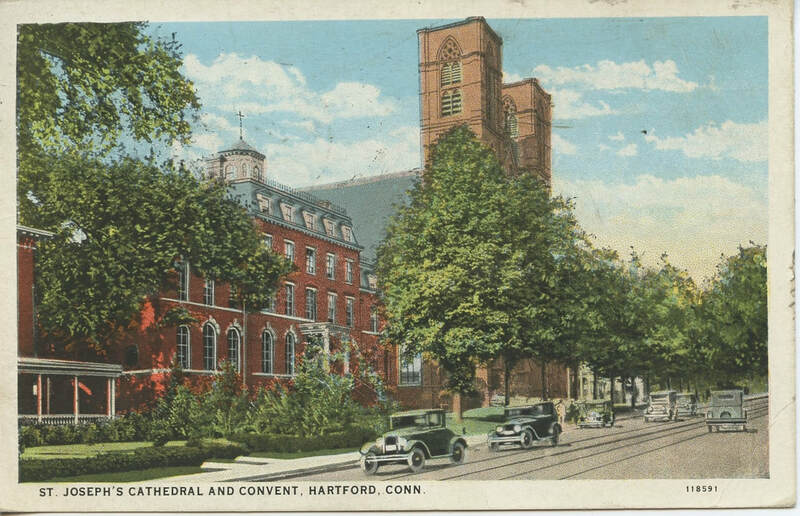 This 20-page magazine was inserted into the Hartford Courant​'s June 24, 1962 issue. 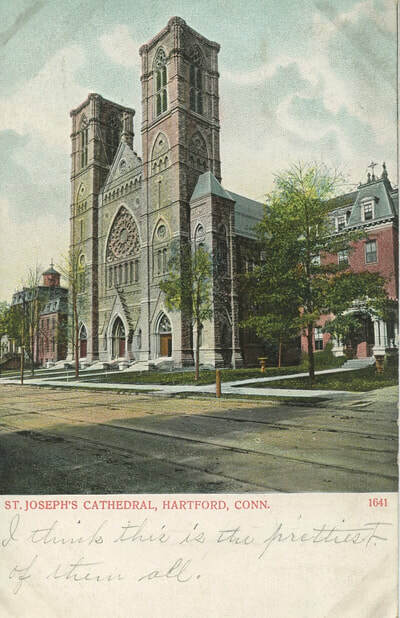 To those who had not yet seen the Cathedral in person, this oversized full-color magazine served as a fine introduction and surely an impetus for many to come and see the splendor of the Cathedral first-hand. Written and visual outlines of the geographic boundary encompassed by the Cathedral. 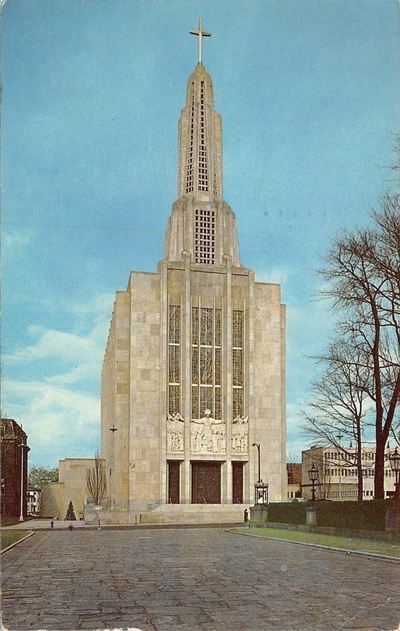 This program was distributed at a special Mass on January 27, 1963, featuring a dedication to the Cathedral organ, built by Austin Organs Inc. of Hartford, CT. This program was distributed at the Mass for the blessing of the holy door, December 12, 1999. Presiding at this mass was the apostolic nuncio, Archbishop Gabriel Montalvo. The Holy Year door at the Cathedral was intended to serve as a focus for prayer and pilgrimage during the Jubilee Year of 2000. 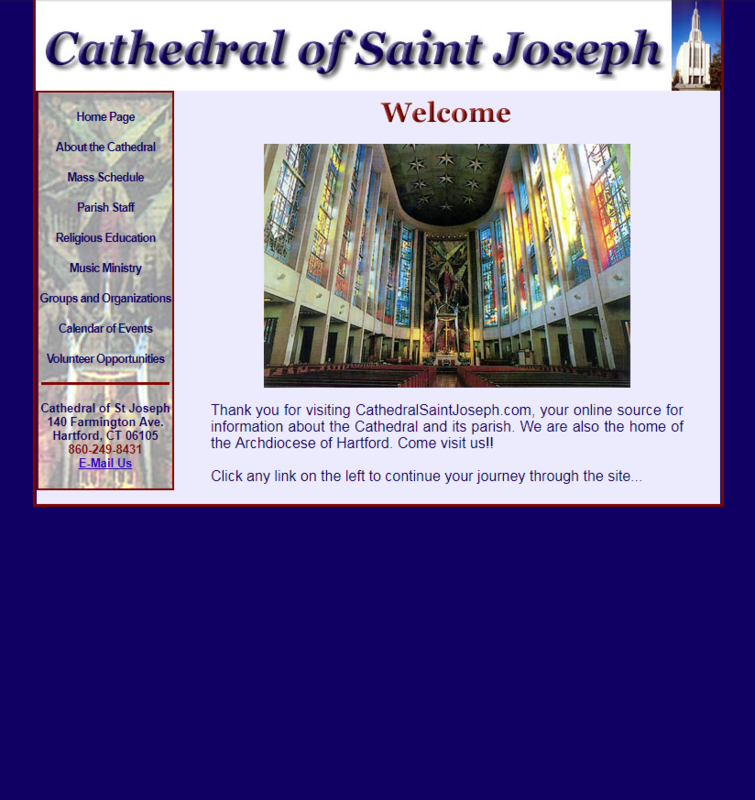 Click on the photo above to explore the first Cathedral of St. Joseph website, courtesy of the Wayback Machine. This archived view of the original website was captured on February 5, 2003. 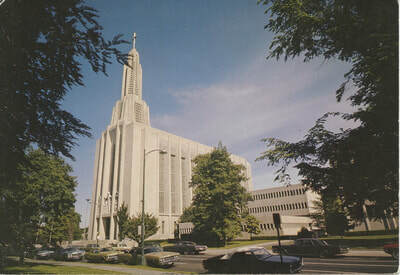 While that may not feel like a long time ago, when you consider the rate at which technology and web design moves, this artifact will continue to prove itself as an interesting and unique piece of Cathedral history. 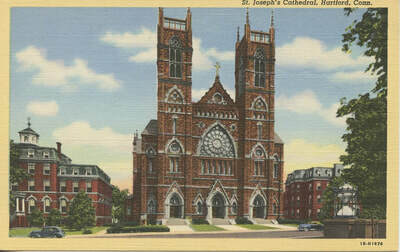 Click on the play button to watch the complete Mass of Commemoration of the 50th Anniversary of the Cathedral of Saint Joseph, on May 20, 2012. "The Anniversary Mass will be blessed way to celebrate the peace and communion of our people from across the entire Archdiocese. The beauty of the Cathedral raises our hearts and minds in continuing praise and thanksgiving to Almighty God." These postcards, dated 1908 to the early 1970's, offer fascinating glimpses into the past. 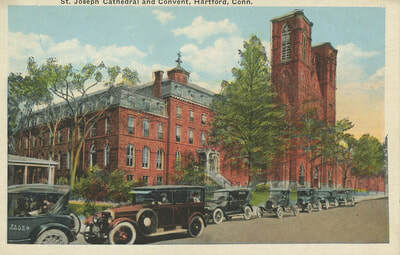 Hover over each postcard to reveal the year of publishing and the printing company, and click on each to enlarge. 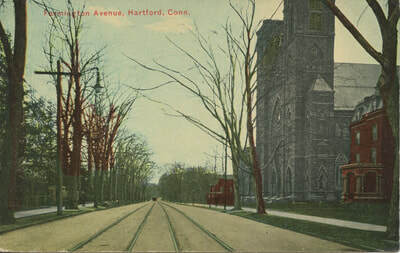 1906, Made in Germany, for Wise, Smith & Co., Hartford, Conn. Printed on foil. 1908, Published by Danzinger & Berman, New Haven, Conn.
1910, The Hugh C. Leighton Co., Manufacturers, Portland, ME. Printed in Frankfort, Main Germany. 1911, Published by Danzinger & Berman, New Haven, Conn.
1912, Published by Danzinger & Berman, New Haven, Conn.
1920's, Made in the USA. 1947, H.P. Koppelmann, Pub. Agent, Hartford, Conn. Printed on linen. 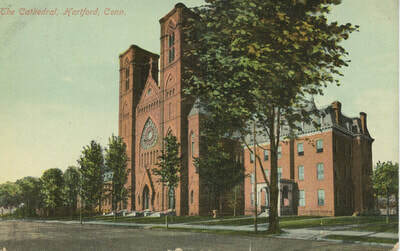 1962, Pictured and Published by Clifford Scofield Color Reproductions, Cheshire, Conn.
1963, H.P. Koppelmann, Pub. Agent, Hartford, Conn.
Late '60's/early '70's, Published by The Color Studio, New Haven, Conn.